Chobe River Cottages - Kasane Accommodation. Chobe River Cottages offers beautiful self catering accommodation along the Chobe River in Kasane, Botswana. Whether you want to go on a boat cruise along the river, take a game drive in the Chobe National Park or simply relax with your family overlooking river views; Chobe River Cottages provides the perfect setting. 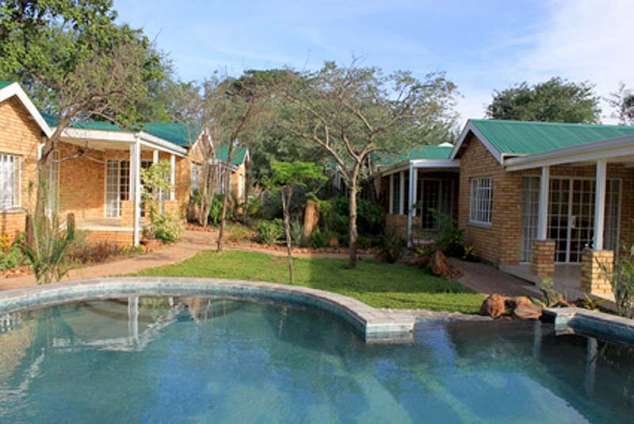 Chobe River Cottages, self catering accommodation in Kasane, Botswana. Private braai area for each cottage. 6801 page views since 18 Mar, 2013. Last updated on 11 May, 2018.